The Last King of Scotland has been released in India, finally. After Forest Whitaker walked away with the Oscar for Best Actor in this film. Well, I managed to catch this movie before it disappeared from the theatres here. I wanted to see it for more than one reason. One was that Whitaker won an Oscar for it, but another very major reason was that my husband spent a large part of his childhood in Uganda as his dad was a doctor there. One of the Asians who had to flee Uganda after Idi Amin took over as the dictator of Uganda in 1971.Well, the movie brought alive all the horrors of the Idi Amin rule. It is through the eyes of a Scottish doctor Dr. Garrigan (played by James McAvoy) who works for Idi Amin, that we see the man. Big, charismatic, short tempered, moody, brutal, and a megalomanic. James McAvoy does a good job as the innocent doc who tries to first convince the President that he is doing wrong and then when that fails tries to escape. Overall the movie moves fast. A quick introduction of the doctor in his sane surroundings in Scotland and then straight into Uganda’s rough terrain and then into the very heart of the dictator. Forest Whitaker is absolutely amazing. In fact if it wasn’t for Whitaker’s performance the movie would have fallen flat. He fills the screen with evil, overpowering personality and every nail biting moment we wonder what this crazy man will do next. 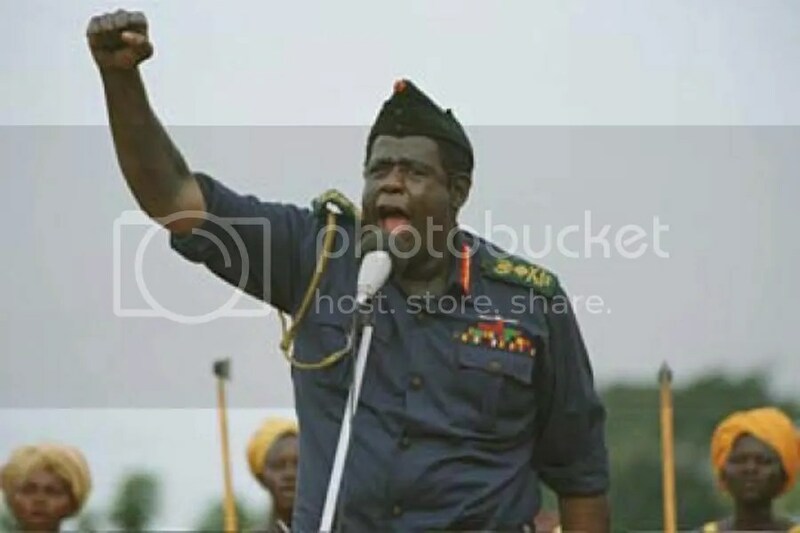 Our sympathies lie with the Doctor Garrigan, and we live through his agonies from the moment he first discovers Idi Amin’s true nature till the very last scene. The movie has been rated ‘R’ so I was prepared for extreme violence…but not really. Some of the violent imagery was disturbing. I can be quite squeamish sometimes. The director, Kevin Macdonald, does not linger on the death and torture scenes at all, but he had to show them because they showed us what Idi Amin was. Love is shown in the film too as our young doc seems to keep falling in love with one woman after another. Everything is fine until he starts to lust after one of Idi Amin’s many wives! The film’s impact is such that it doesn’t leave you even after its over. The fact that it reflects real events is one of the reasons why it is so powerful. Not what one would call sheer entertainment but definitely something that reveals to you a little bit of history and a little bit of life. What is really sad is that Idi Amin was never tried in a court of law for his crimes. He died in exile in Saudi Arabia as recently as 2003. I cannot understand how any country could shield a monstor like him. Apparently, the film was released in the US last year, but was released in the UK in Jan, and in France last month. Well, its here now and the German release is set for May. I guess they felt the market for this film was limited. But actually it is a very watchable Good Vs Evil film. The acting, the real life locations and the sheer power of Idi Amin’s character are all factors that can draw in movie buffs. wow, just finished the movie and what a show it was.. It would have been complete if they had shown the Isreal rescue mission where they rescue the isreali hostages..